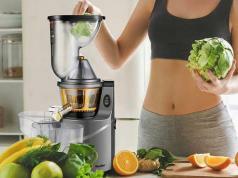 Meet the VonShef Wheatgrass Juicer: a handy tool that lets you make fresh fruit, vegetable, and green juices at home. It processes the ingredients in a way to retain nutrients and enzymes. You get a power / reserve switch to use. 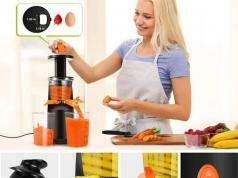 The kit includes a juice container, pulp container, food pusher, scrubbing brush, and a few other parts to choose form. 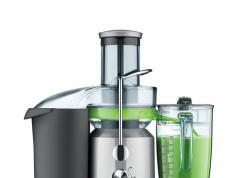 The juicer has a 150W motor. It measures 34 x 18 x 34cm. You can get yours here.